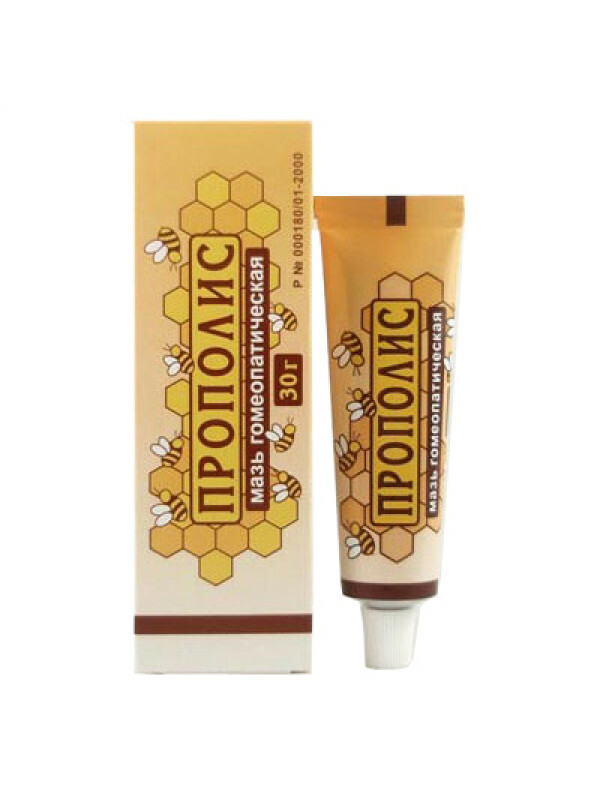 Cream with Propolis is for external use only. The cream works as an antimicrobial, anti-inflammatory, antipruritic, anodyne agent (reduces pain from damaged tissues), increases the growth of granulations and regeneration of injured tissues, stimulates metabolic processes. The cream is effective both in early stages and in purulo-necrotic processes. Indications for use: atopic dermatitis, neurodermatitis, itching dermatosis, bedsores, burns, purulent wounds, non healing wounds and ulcers, infected injuries, trophic ulcerations (as a supportive therapy). Contradictions: hypersensitivity, acute forms of eczema.